The planets in our galaxy have a profound effect on our every day lives, which is what makes the science and study of Astrology so fascinating. From Daily Horoscopes to Astrological Psychic Readings, we strive to bring you the most up-to-date and accurate news on the planetary events that influence us on the deepest of levels. 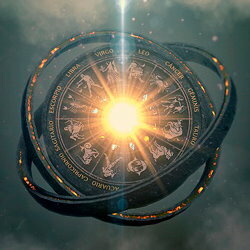 Kajama.com's daily horoscopes are the perfect way to start your day! Insightful, informative and accurate, our featured astrologer Susyn Blair-Hunt reveals how the planets will affect your movement each day. Complete with an affirmation, Tarot card, spirit animal, lucky number and color for the week, you won't want to miss a day of her amazingly accurate horoscopes! Published every Monday, Kajama.com provides and astrological overview for the week to our readers. Stay up to date on planetary events and learn about what you can expect for the week ahead. Join Susyn Blair Hunt’s Celestial Circle and receive her signature “Collection of Spiritual Essentials.” Included with your Membership: Susyn’s Daily and Weekly Horoscopes, Tarot, Numerology and Crystal Wisdom Forecasts delivered to your email, Astrological Birthday Forecasts, Psychic Reading Discounts, & MORE, all for just 16 cents a day!